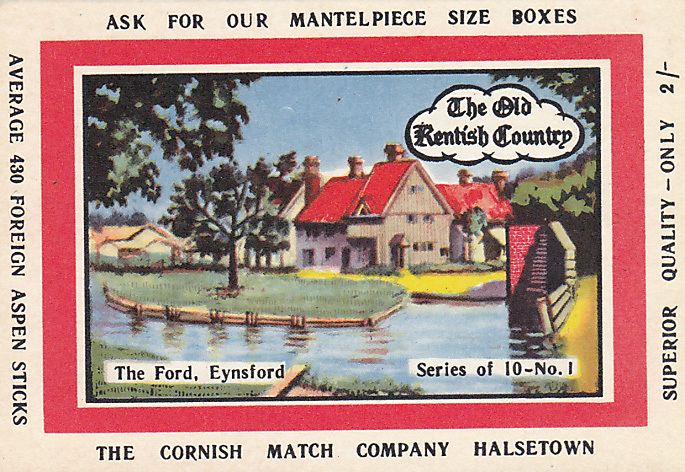 Eynsford is a village in the Sevenoaks district of Kent. 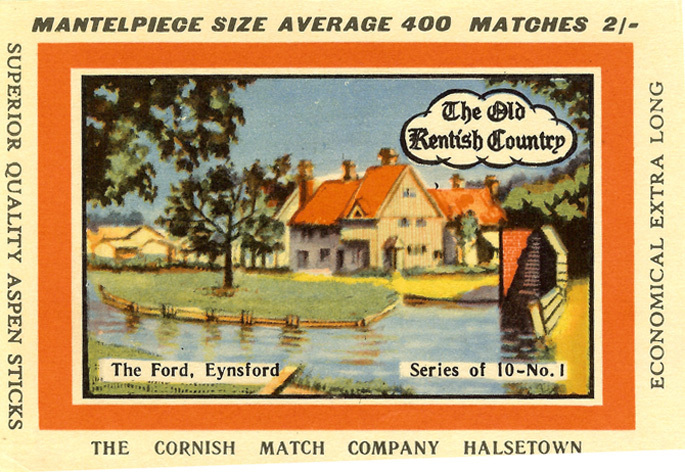 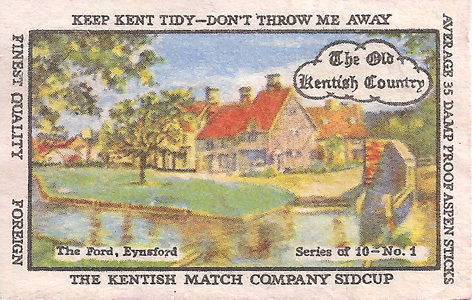 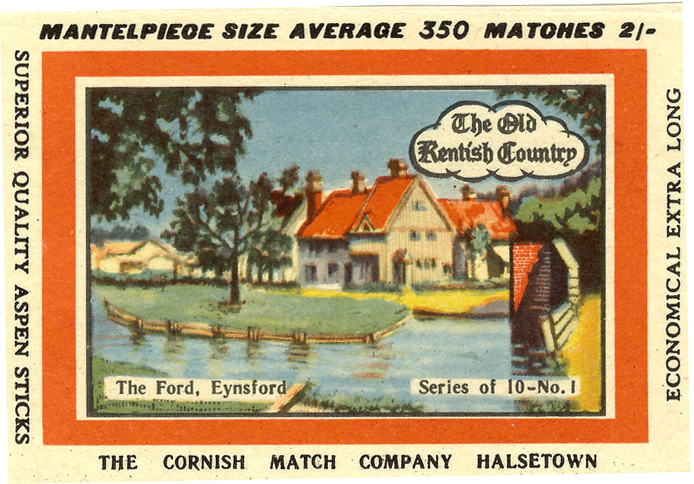 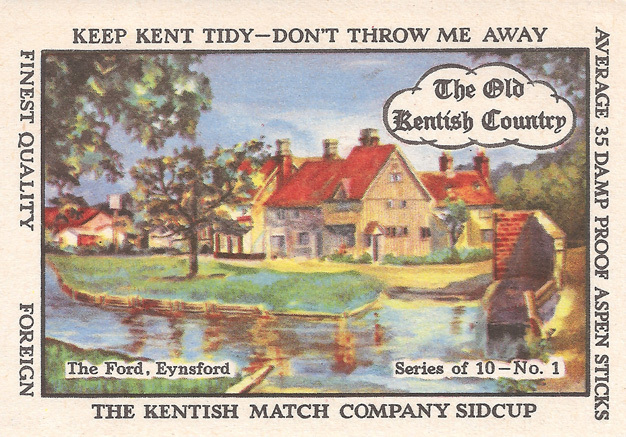 In the centre of the village there is a ford over the River Darent with a picturesque hump-back, that is illustrated on this label. 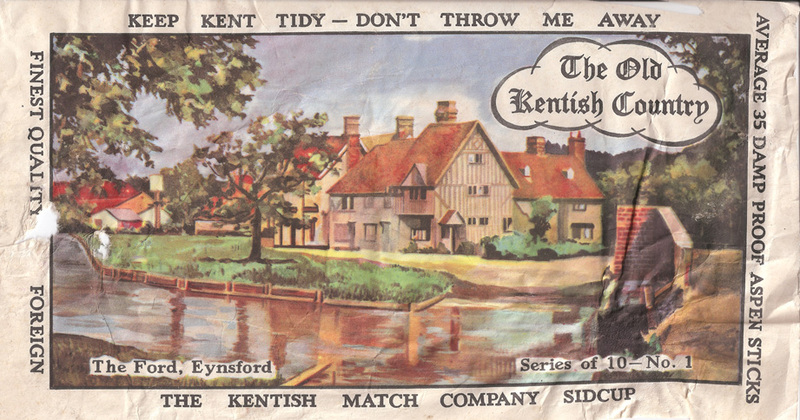 The illustration appeared on 6 known labels.